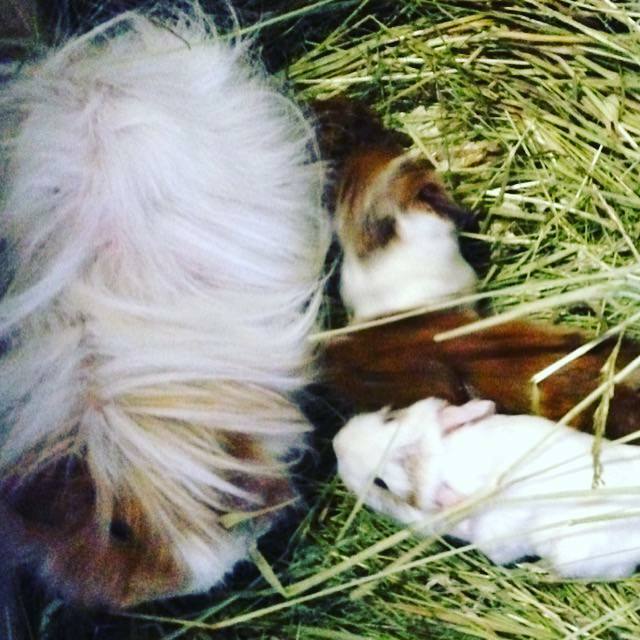 Fleur, one of our Guinea pigs, was in the middle of giving birth to four healthy pups. She was followed on Monday by Floss, our other female Guinea pig, which also had four pups. Guinea pigs are born with their eyes open and are up and running around within minutes. They also start to breed at just a few weeks old, so when we bought our four youngsters, there must have been a mix up about which were male and which were female, resulting in the surprise births. All eight pups are healthy and are already giving us the run-around. Our biggest task will be to separate the males from the females so that we don’t get caught out again. If you’d like to see the baby Guinea pigs, visit them in the Animal Village.